Arne Mertz, Author at Simplify C++! The pImpl idiom is a useful idiom in C++ to reduce compile-time dependencies. Here is a quick overview of what to keep in mind when we implement and use it. Keep simple data structures simple! There’s no need for artificial pseudo-encapsulation when all you have is a bunch of data. Sometimes we need unformatted data, simple byte sequences. At first glance, std::string might be a fitting data structure for that, but it is not. C++ Quizzes and Trick Questions – Do we Have to Know the Answers? Now and then we have the need to call functionality that was written in C from our C++ programs. For that, we need to use and understand extern “C”. 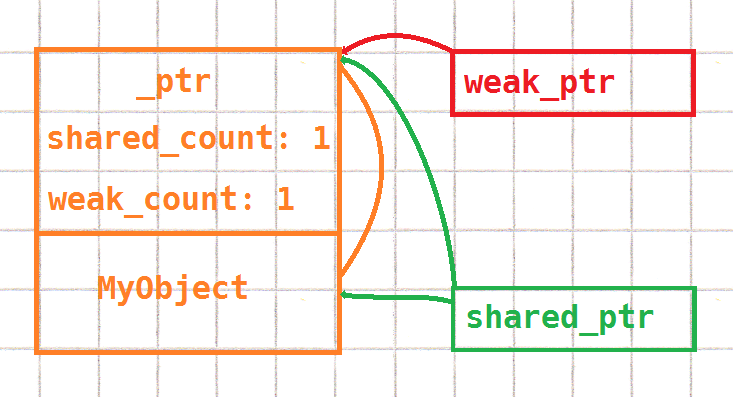 There are two different ways to create a std::shared_ptr: via one of its constructors and via std::make_shared. Both have their merits and different tradeoffs. In C++, there are a few ways how values that we would consider different compare equal. A short overview.